Marine safety is never far from coastal Alaskans’ thoughts, where commercial fishing and other marine trades are their livelihood. This holds true in Cordova, a community of 2,200 on Prince William Sound. Every February Cordovans enjoy displaying and testing their cold water safety skills during the Iceworm Survival Suit Races by donning survival suits, swimming to a life raft, and boarding the raft—all of which is more difficult than it sounds. This year ten teams joined in, including a visiting US Coast Guard team from the Homer-based buoy tender Hickory. The crowd’s favorite was the “Nautical Moms,” competing in the Artistic Impression category that invites participation regardless of speed. All new mothers, they scored slow times but earned artistic points for their strollers, Goldfish cracker snacks and a small life raft with dolls standing in for infants. In all, over 40 residents braved the cold water (31 degrees) while harbor and medic folks kept a watchful eye. 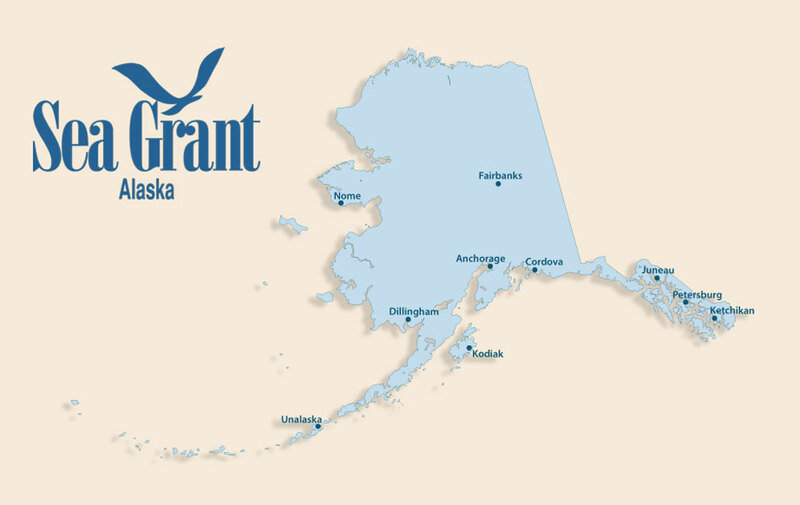 Torie Baker, Alaska Sea Grant Marine Advisory Program agent, along with local fishermen, organized the races. The survival suit competition is part of the annual three-day Iceworm Festival with activities from art shows to basketball and parades. Watch highlights of the survival suit races at https://vimeo.com/254366964, produced by Cordova resident and videographer Ralph Bullis.